Is it time to start living your best life? Discover the easy and proven ways you can lose unwanted pounds and develop a lifestyle of health using your faith. Learn, connect, be encouraged and be transformed all from your own home! Getting Healthy Doesn't Have to Be So Hard! Diets, deprivation, crazy supplement regimes, and expensive home-delivered meal plans come with big promises, but usually not very good results. But there is one sure way to get healthy and lose unwanted pounds! It's using your faith with Christ-centered principles. This combination works every time and it can work for you! Delivered into your personal member account and available to you any hour of any day . . . to view over and over again to build your faith and change your life! Use our proven “road map for success” as you integrate what you are learning with your unique and personal circumstances. 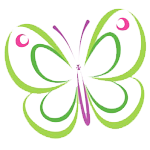 Several times each week receive emails with tips, encouragement, success stories and other motivational tools. We are dedicated to your success and we want to do all we can to support you on your journey toward a lifestyle of health. The experts agree . . . crash diets don’t work. But there are solutions to losing weight and getting healthy that are proven over and over again! Every month members join in for a Live Online Event with guest speakers, powerful teaching, Q&A sessions and much, much more! Connect with like-minded sisters and brothers in Christ in the private Choose Life Now Facebook Forum. Give and receive encouragement, support, prayer and tips. One of the key elements for success is have the support and accountability with one or more individuals who become your cheering section and your fans. Having weekly or bi-weekly check-in online give you that special “juice” that adds to your plan for success. If you use our methods and they don’t work for you within the first 30 days, we will refund your entire dues . . . no questions asked! Develop Your Faith and Your Health at the Same Time! 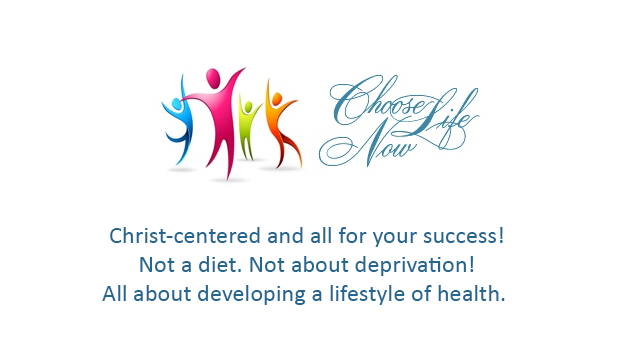 Members of Choose Life Now are delighted by the great success they experience with weight loss and more vibrant health. Those are great goals to accomplish. But the best benefit is that while they get healthier bodies, they also grow in their faith as they feed their spirit with the precious nourishment of God's Word.